Tom Izzo put together another memorable entrance at Michigan State's midnight madness. In 2014, Tom Izzo dressed up as a rock star for Michigan State's midnight madness. This year, he decided to be a movie star, starring in a “Mission: Impossible” parody video. The video began in a location just outside of Houston, the location of the 2016 Final Four, and featured Izzo — as Tom Cruise's character, of course — and several Michigan State assistant coaches attempting to retrieve the championship trophy. 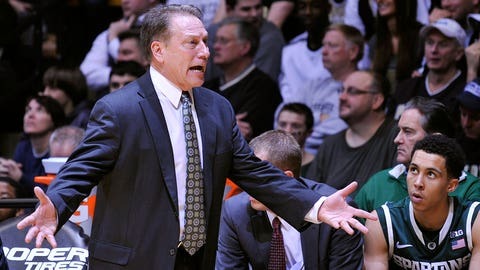 Once Izzo made his official entrance inside the Breslin Center, he welcomed a Tom Cruise impersonator to the floor.